Click the big orange button that says "REGISTER NOW!" You’ll now be on the registration page. Write your name, pick a user name, and share your email address. 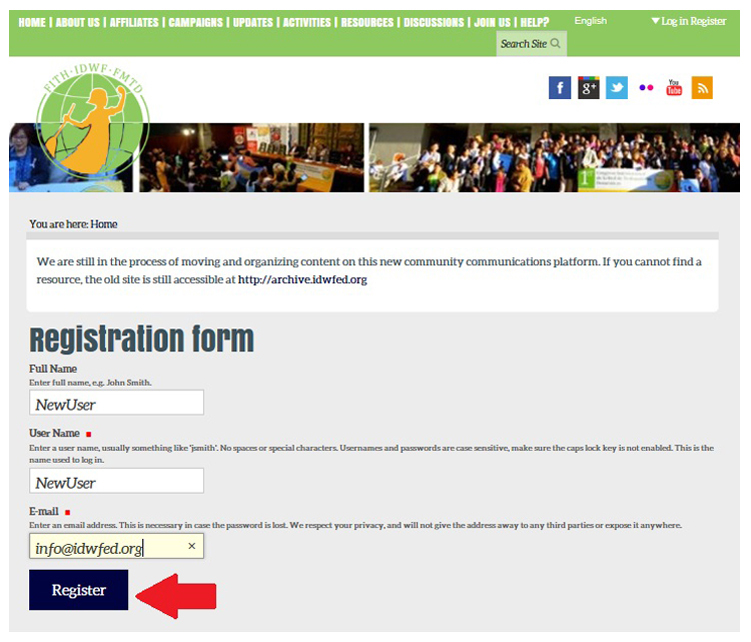 Lastly, click the button that says "Register". 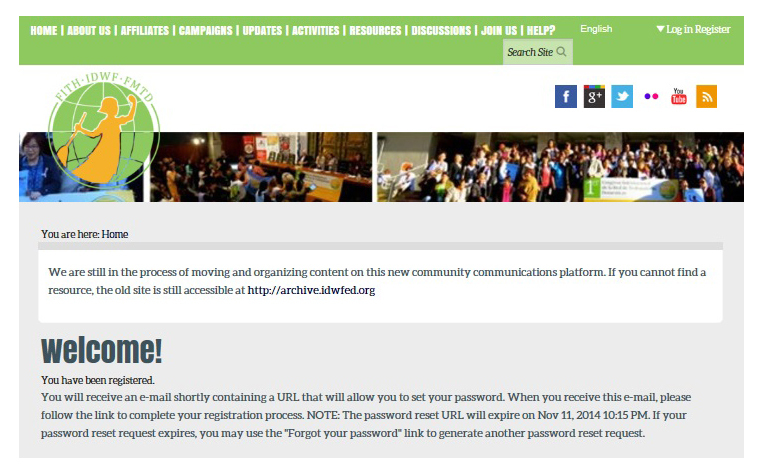 When you see this page, it means that an email has been sent to your email address! You’ll receive an email like the one below with your username. Click the link in blue link. The link will bring you back to the IDWF website. 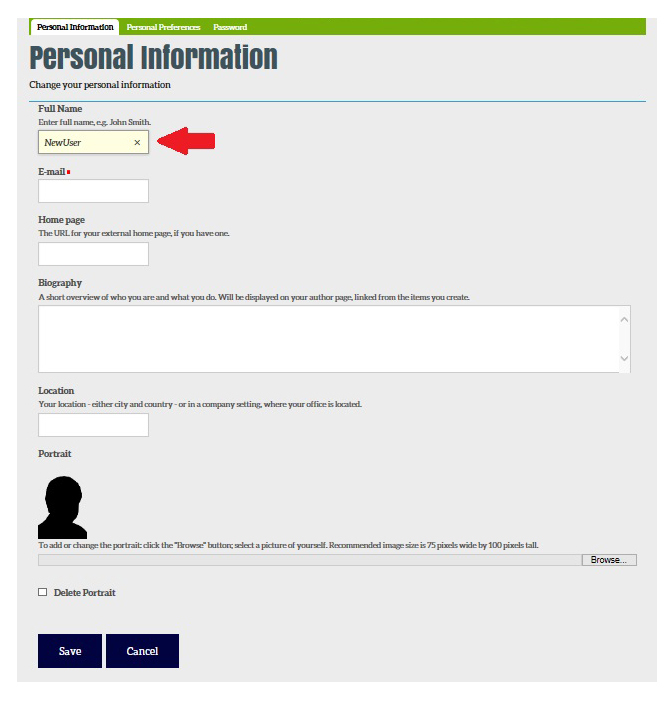 Write your new username and choose a password. 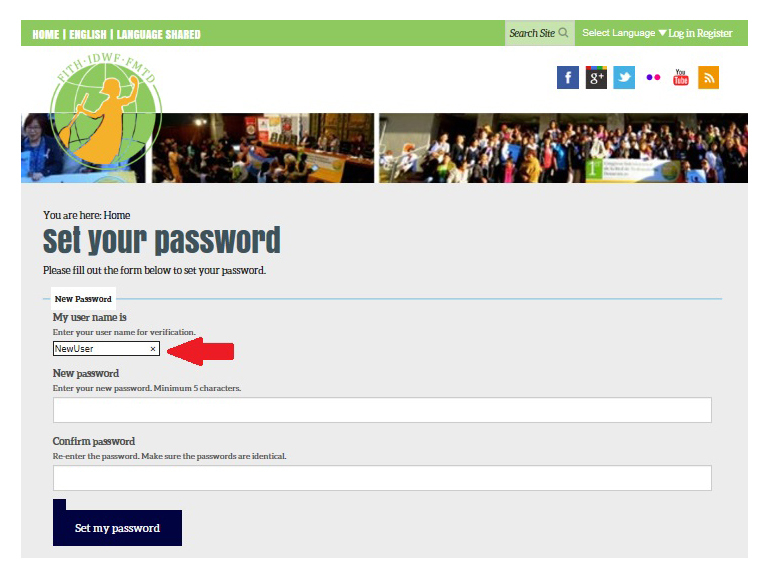 After you type your new password twice, click the blue button that says "Set my password". You have now registered for the IDWF community. You can now use the "Log in" button in the top right corner to access your account. Click the blue button that says "Log in". You can now edit your profile! This will include your name, email address, your website (if you have one), a biography (where you write about yourself), location, and a photo. When you have completed these boxes, click the blue button that says "Save". 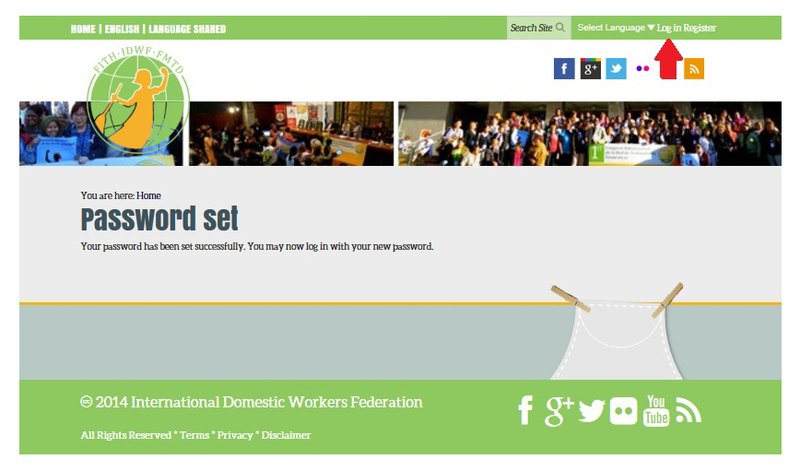 You can now add stories and contribute to discussions on the IDWF Communication Network. Read our welcome message to see what you can do as our member!